Photos in this series were taken by Sabelo Narasimhan (daytime photos) and Neha Gautam (evening photos). 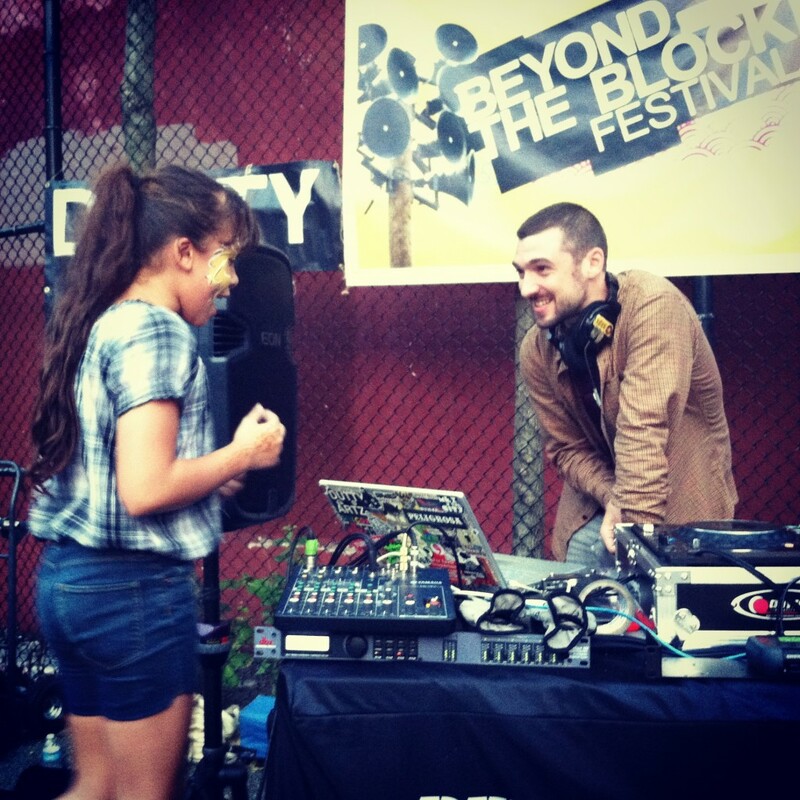 On September 18th, 2012, Dutty Artz, Beyond Digital, La Casita Comunal de Sunset Park, La Union, CAAAV-NY, and the Arab American Association of New York presented the first edition of Beyond the Block at Rainbow Playground in the Sunset Park neighborhood of Brooklyn. 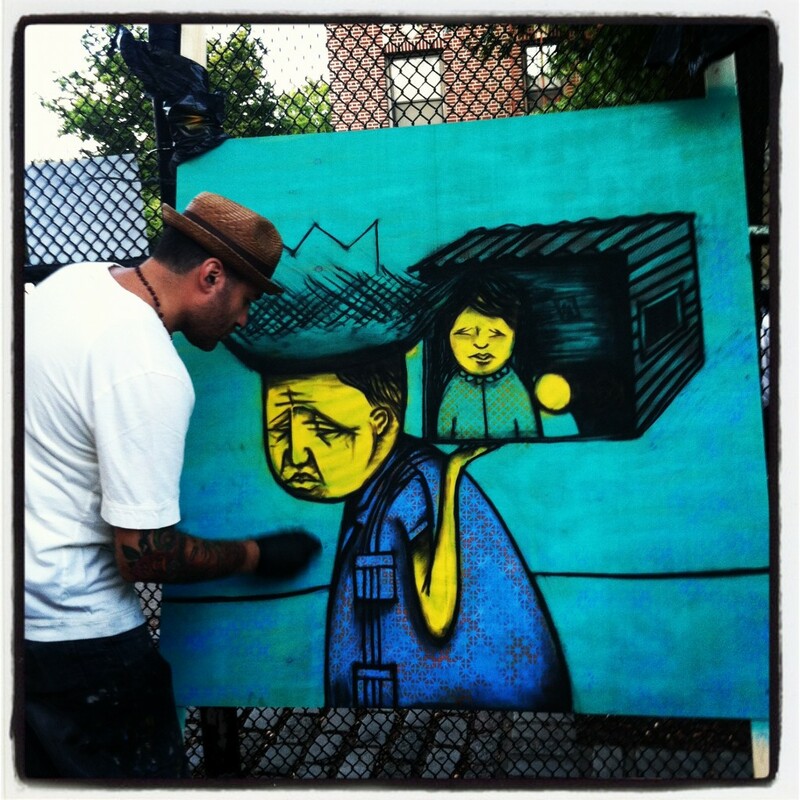 Beyond the Block was a day-long music, arts, and community festival that took place in the crossroads between several major immigrant communities in New York. 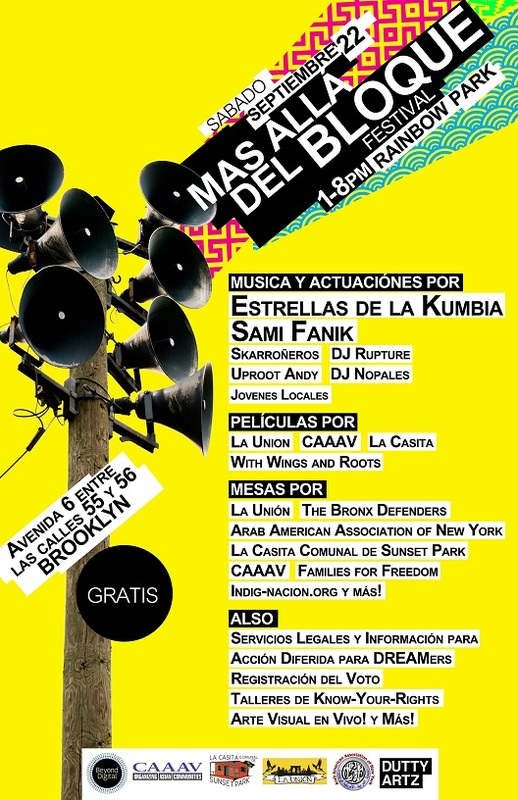 We had performances and participants from various communities in the South Brooklyn area, and invited musicians, artists, and organizers from outside the neighborhood in order to connect them. As we attempt to improve upon our efforts with future incarnations, we present the story of this festival with the hope that it can serve as an example of the merging of arts activism In-Real-Life with the ideals of a ‘globalized society’. The day of the Beyond The Block Festival started out sunny and the neighborhood was already filled with vibrant activity by the time we arrived at the park. A host of volunteers were rushing to help get everything in place. Equipment donations were brought in by Dubspot and Sound Liberation Front, and many of the artists and performers, who volunteered their time and efforts, arrived to help set-up. Adding to the festive atmosphere, and the political aims of the project were the various community organizations who showed up and set-up tables: Bronx Defenders “Know Your Rights” workshops, lawyers provided legal consultations for undocumented young people applying for deferred action, Brooklyn Immigrant Youth Coalition educated the community about the work done by DREAMers, Arroz y Sueños provided demonstrations on healthy food making, CAAAV (Organizing Asian Communities) provided important tenant and housing information, Families for Freedom distributed resources on the impact of deportations on immigrant communities, and Urban Art Beat shared information about their youth arts programs. 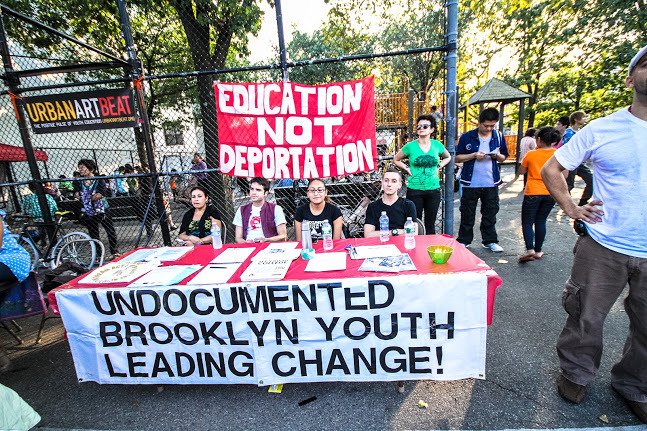 Other groups including La Raza Youth Collective, Movement Space Project, Occupy Sunset Park, Right Rides, and La Union set up tables as well. All those who helped out were indispensable to the success of the event and we couldn’t thank them enough for their help. After learning how to operate a generator (through trial by fire), we opened the musical performances with DJ Nopales, a Sunset Park native and current resident who was working with youth at La Unión. Nopales got us moving with a nice mix of electronic cumbia and reggaeton, setting the mood for the day. Next we had local communist punk-ska band Los Skarroñeros who have a dedicated following in the neighborhood. The band made sure to spread the message that work is it’s own reward, but that we were also there to relax and enjoy from music, an appropriate message for many of us working on the event for many months! Then Uproot Andy and DJ /rupture graced us with their global mix of music, which touched on musical strains from the Latino and Arab communities of Sunset Park and Bayridge, as well as an excerpt from /rupture’s Rent Strike Mix. Following the two New York all-star DJs’ sets, we had youth performances such as spoken word poetry, a solo guitar playing singer, and a duo of youth rappers coming down all the way from the Bronx. They were followed up by arabic rapper Sami Fanik AKA Activist, and beautifully voiced singer songwriter, Omnia Hegazy. Our headlining group, Las Estrellas de la Kumbia, couldn’t perform due to technical difficulties, so Uproot Andy closed out the day playing Dembow, Rap, and Dancehall hits, making a few new young fans in the process. Uproot Andy at Beyond the Block, connecting with youth in the park. While all these musical performances were happening, young people were engaged in art projects all around the park. Some of the artists had an intimate connection to the place where the festival was held. Adrian Viajero, who grew up playing basketball in Rainbow Park, brought his mother to see him paint. 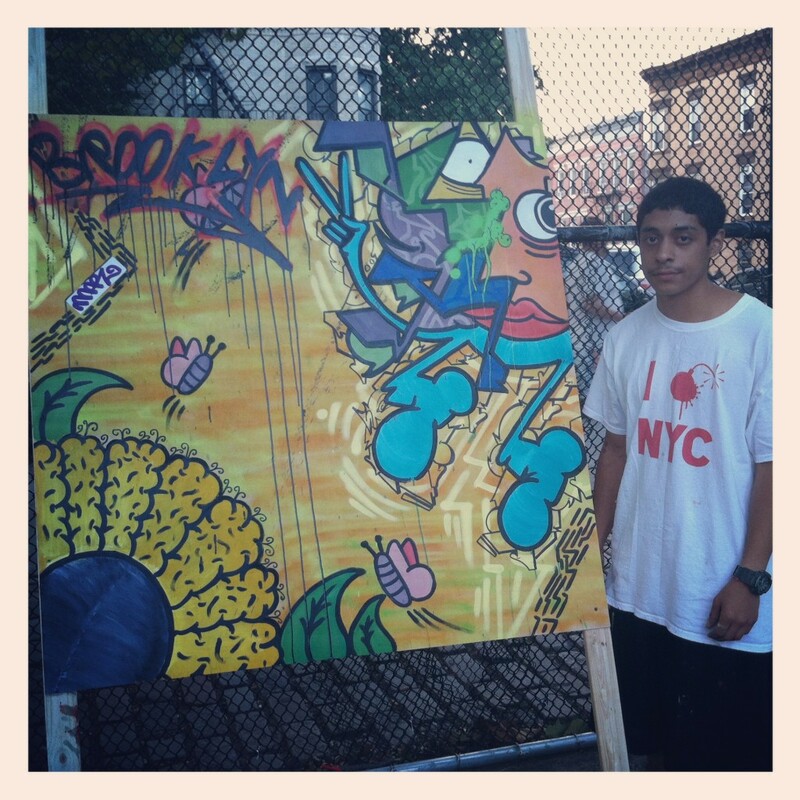 Beside him, 19-year old Sean Pagan who in July experienced being violently stopped and frisked by a police officer in the subway blocks away and suffered severe police brutality, painted his own vision of the neighborhood. Beside them, young Arab, Latino and Asian youth painted flags and lettering in their languages onto a mural. The festival closed with a dance group called Cetiliztli Nauhcampa Quetzalcoatl in Ixachitlan. An attentive crowd of festival revelers stayed to watch and participate in the folkloric Aztec dance. A group of Chinese teenagers politely halted their basketball games to make room for the dancers, and then surprisingly partook in the ritual themselves providing an example of the ability for spontaneous cultural exchange in such public gatherings. 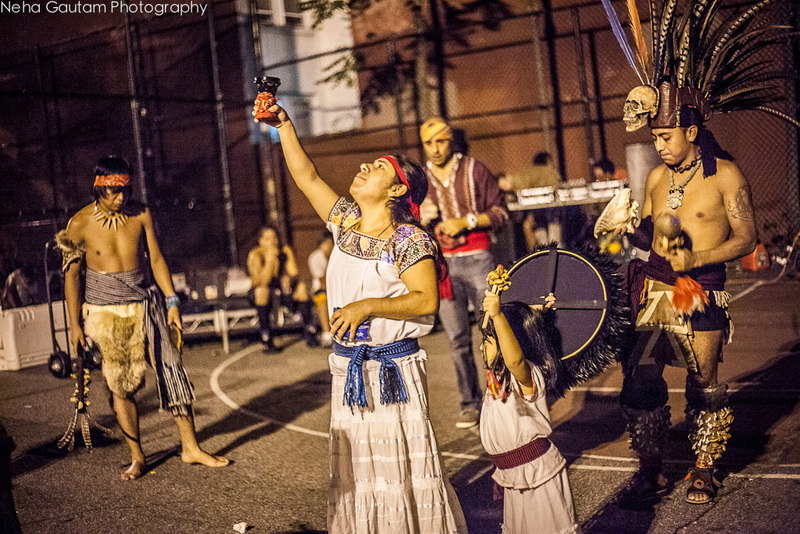 After the performances finished, some longtime residents of Sunset Park mentioned that events such as Beyond The Block hadn’t happened for a long time in the neighborhood, and were perhaps overdue. Several youth followed us around as we cleaned up, trying to figure out how to keep in touch with us and find out when we were going to do it again. For those of us who were coordinating and working throughout the day, it wasn’t always easy to step back and enjoy the fruits of our labor, but such moments as these made us feel that our efforts were appreciated, and let us know that the event was an overall success. While the day was both challenging and exciting, perhaps the most rewarding part of the experience was the months long collaborative planning process. The idea for the festival was sparked during a lunch conversation between Larisa Mann, Thanu Yakupitiyage, and Boima Tucker during which we discussed some of the challenges and frustrations we faced in our work as socially engaged, globally-minded community organizers and artists. While voicing our individual frustrations we started to make connections between the continued marginalization of communities of color and immigrants in city-wide political organizing strategies, and the trends in the music industry which preference the use of local and marginalized cultures as commodities in the promotion of the industry’s elite. We suddenly realized that connecting these two issues was essential to addressing them, especially in New York, a city whose marginalized communities were responsible for the birth of several global musical and political movements. It was through these movements that contemporary New York had become a place where residents proudly celebrate its cultural diversity. But as relatively newer residents to the city, who had always looked at New York’s political and musical movements for inspiration, we are aware of the continued systematic exclusion of the marginalized communities that had made the city such an attractive place to live and create in. We were becoming disillusioned by the fact that this exclusion also existed in those creative and organizing spaces that we were increasingly becoming involved with. In the Giuliani-Bloomberg era, New York increasingly become a node in free-market facilitated globalization that reproduces inequity. During that conversation we decided to shift from just talking about how all these ideas connected to actually doing something about it. We aimed to provide an example of an alternative practice – a place where we could use culture, art, and global music as the connector for communities to come together on their own terms. Planning started in the Spring when Thanu and Boima started meeting regularly with Jace Clayton (DJ /rupture). We saw Sunset Park as a perfect starting place because of its immigrant diversity, some already existing connections, and good work being done by organizations in the neighborhood. We met with Leticia Alanis, executive director of La Unión, who brought her own ideas, provided spaces for us to meet, and invited many members of her organization to help in visioning and preparation. The La Unión headquarters at St. Jacobi Church eventually became our central hub, and the place where our meetings would regularly occur. We then invited individual organizers, fellow creatives, and representatives from the diverse communities in and around Sunset Park to weekly meetings. These meetings provided a space to slowly shape a multicultural coalition and facilitate interaction between communities and individuals that often have little connection despite their proximity. This coalition worked as a vehicle through which community representatives were able to identify mutual needs and desires for services, as well as express diverse visions of representative cultural production. At the same time, coalition members served as conduits into their respective communities. Finally, it allowed organizers to regularly debate our processes, and analyze how our modes of organization fit within the ideals of multiculturalism and social justice activism. The goal was for communities to feel represented and able to speak for themselves, without being tokenized. The Dutty Artz core and affiliated crew such as Geko Jones, Diego Gutierrez, DJ Beto, and Uproot Andy all regularly supported the planning process. Diego especially, made a momentous effort to design all of the visual material for the promotion of the event, including making flyers in four different languages. Food often played a central role as a motivator during and after meetings, and other fun activities were central in helping to create a feeling of solidarity amongst organizers. We held a fundraiser in August at Glasslands in Williamsburg, and were able to raise a few thousand dollars. We are deeply indebted to the extended Brooklyn community for their support in making the event a reality. 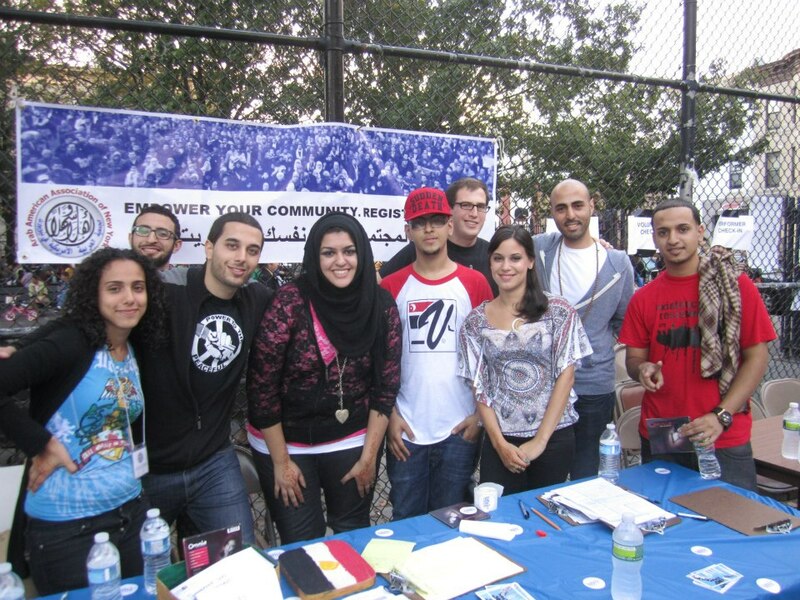 The second local group we invited to collaborate on the festival was the Arab American Association of New York (AAANY) based in neighboring Bay Ridge. We partnered with AAANY staff and members of their youth group, who became crucial for inter-community coalition building. Interestingly, some of the Arab youth were initially skeptical towards the festival, and wondered whether their own community would come to a less specifically Arab cultural event. In the end they came on board, and became some of the most excited promoters. On the day of the event brought their friends, performed, painted, shared music, and canvassed for voter registration at the festival. 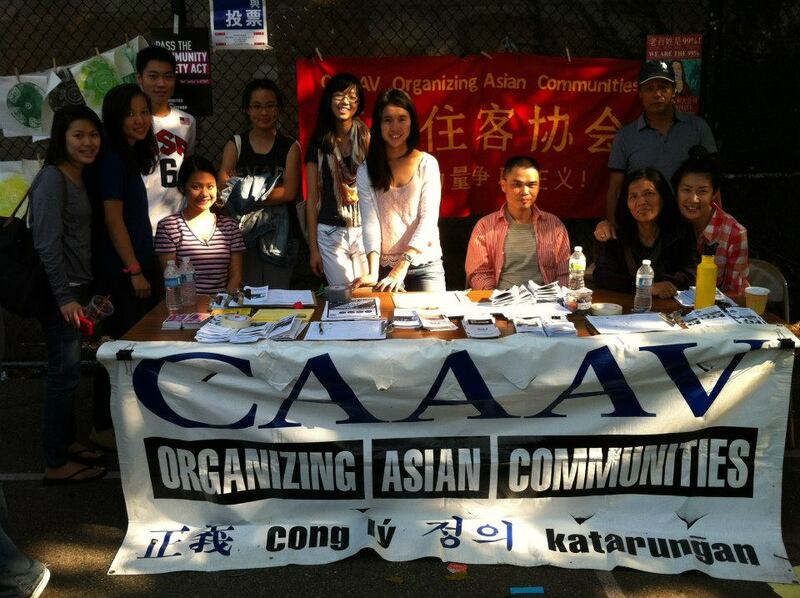 The organization CAAAV Organizing Asian Communities, a pan-Asian organization that specializes in housing rights, was integral to the success of the festival as well. Before the event, CAAAV translated all of our documentation into Chinese and did outreach in the neighborhood. During the event they provided housing rights information and did onsite translation so the festival’s goals were communicated to everyone at the park that day. Their table was heavily attended by the largely Chinese immigrant park users who took full use of the housing resources provided, demonstrating the critical need for such information for that community. CAAAV’s role at Beyond the Block also ensured that the largely Chinese immigrant park users did not feel alienated by the entrance of new people into the space. In the final months of planning we formed a partnership with La Casita Comunal de Sunset Park. The involvement of La Casita organizers, both local residents such as Dennis Flores and new arrivals such as Noelle Theard, brought fresh energy, exciting ideas, and became the final push we needed to make the festival a reality. The organization, formed by several Sunset Park locals, was instrumental in supporting the rent strike of a building in the area and helping Latino residents hold on to their homes. At the festival, an art exhibit was set up displaying photos of the Sunset Park rent strikers and their struggle to keep their housing. It was also in collaboration with La Casita that DJ /rupture was able to make his Rent Strike Mix, which weaved interviews from the rent strikers into the sonidero inspired soundtrack. Beyond the Block and its accompanying processes served as manifesto of sorts for our vision of utilizing cultural organizing for a more democratic, diverse, and egalitarian society. We recognize that the many people who have engaged in contemporary American social movements such as Occupy Wall Street, or celebrate the increased access to social and cultural diversity via the Internet, are attempting to engage with ideals of democracy and multiculturalism with the best of intentions. But, structural change happens over time, and we believe that it starts on a local level first. We think that this is well illustrated by the effectiveness of the #Occupy community in their direct action efforts, specifically through providing relief to communities affected by Hurricane Sandy. We also think that it is crucial that marginalized people and communities be recognized as active agents and part of the distribution process of their own cultural production. In other words, Beyond the Block sought to be a space where “culture” was not used for purposes of “diversity” alone but as a part of a part of the practice of community dialogue and change. We hope Beyond the Block can be a first modest step in our desire to move our work in that direction.